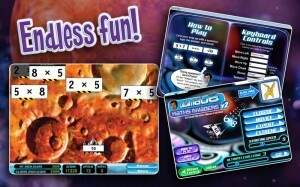 Educational software and academic games for children are teaching kids of all ages about math, science, reading, language, and even music and the arts. These educational software for kids are in demand now, more than ever when children have the hardware and technology in their hands. These helpful and stimulating supplements to school activities and lessons help youngsters get a head start. And the best thing about them is that they’re real fun. No, this is not an invasion of aliens, but math problems. The software is armed with the capability to assess the ability of the user. The content includes basic number operations as well as decimals, fractions, percentages, and more. 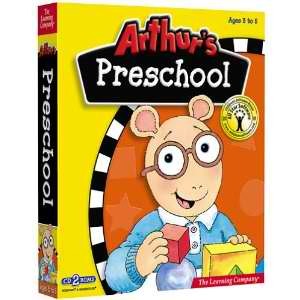 The animation is awesome, and its focus on self-directed learning makes it a popular choice amongst parents. This software was developed by EdAlive which was founded in 1987 and is a leader in educational software in New Zealand and Australia. 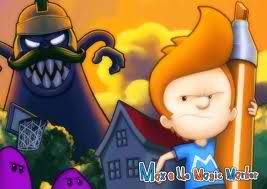 “Max & the Magic Marker” is an adventure that combines “logical thinking skills with arcade game play.” Adventure seekers will find endless puzzles and challenges in three worlds and total of 15 levels. The magic marker compels the player to think solutions through and draw them as well. The software is available in five languages—English, French, German, Italian, and Spanish. “My Amazing Human Body” is another high quality product from DK that is composed of fun games and learning activities that would definitely appeal to children. This comprehensive package features the following sections: Bone and Muscles, Brain and Nerves, Food and Digestion, Heart and Circulation, Lungs and Breathing. “My Amazing Human Body is voted by many as the best existing software to introduce the human body to very young children. This 3D Lego world is something that children would love explore (and might not want to leave). For the Kindergarten level, the makers have prepared a gamut of interesting learning activities with the goal of building a strong foundation in math and language, as well as art and music. 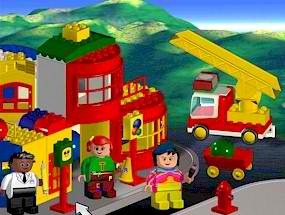 Your child will be asked to pick a learning buddy, a LEGO friend that will represent the tot’s learning style. The software is compatible with both Mac (OS 8.1–9.2) and Windows (98, Me, 2000, XP). 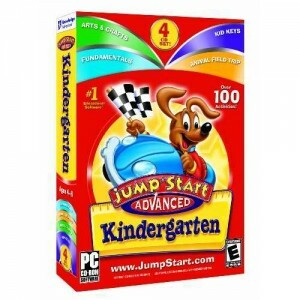 “JumpStart Advanced Kindergarten” is a great tool to prepare your child for his or her first day in Kindergarten and is compatible with both PC and Mac. Within the 4 CDs in the box are more activities than you can ask for, and these activities can also adjust to the pace of the learner. The scope of the package includes Math, Reading, Music, and Art. The software has capabilities to determine your child’s learning style. 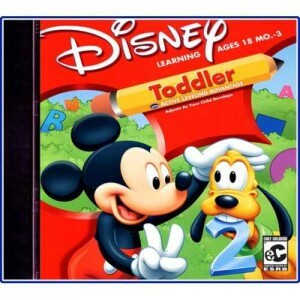 Mickey’s Toddler 2 remains a favorite among young infants aged 18 months to three years old. Using Disney’s Active Learning method Mickey and his gang teaches very young children about shapes, colors, number recognition, letter recognition, music appreciation, abstract thinking, listening skills, and social skills, among others. Positive reinforcement is continually given to children so that are encouraged to move on from one activity to the next. The activities are age-appropriate and are designed to develop problem solving skills and strengthen the foundation and thirst for learning. This is a collection of twelve games for the family and is meant for children at least 9 years old. This package aims to develop “innovative and breakthrough thinking.” The principles of the ASIT or the Advanced Structured Inventive Thinking method are embedded in all the activities. The CD contains a total of 12 games that the whole family will enjoy. “Dr. 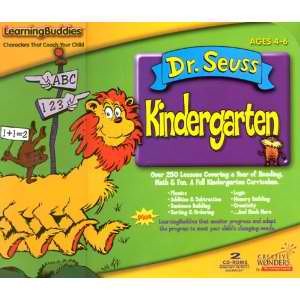 Seuss Kindergarten” features Gerald’s new zoo and all the strange creatures. If you’re a bona-fide kid, you can get on board McGrew Zoo Choo Choo Train. Be ready to be taken two eight wonderful stops. At each stop, activities that teach you many things are waiting. Like what? For example, you will meet some Babaloots who need your number skills in fixing their wheelbarrows. Isn’t that exciting? 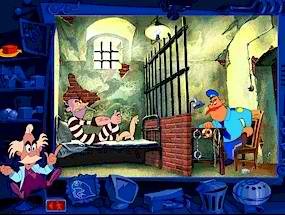 And here’s more: you’ll meet more than 50 Dr. Seuss characters and all of them are eager to teach you something. This program is more than a biographical sketch of the life of a musical genius. This program teaches children about Beethoven and the basics of musical styles and compositions—perfect for the musically-inclined young person. 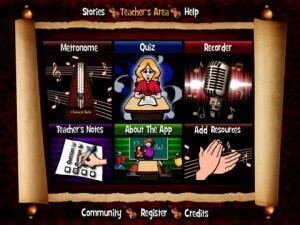 This software from Classical Kids even allow children to record their very first musical compositions. Kids are curious as well as eager to learn in their early childhood education. In order to make them understanding as well as presumptive about educational belongings in proper manner before mentioned software’s are very much productive as well as functional in all the possible way. Of course its best because it does not featuring the purple dinosaur. Therefore it’s a good option for all.